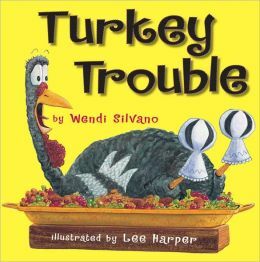 After reading this delightful story, tell children that turkeys have different body parts than other birds do. Show them some pictures of real turkeys, including a turkey chick (a poult). You can find real turkey pictures and a list of turkey terms at http://www.kidzone.ws/animals/turkey.htm. You can also attempt to say the scientific name for a turkey while you are there! For help with that, go to a word pronunciation site.